What I was wearing yesterday, a bicycle proof skirt. Most skirts aren't really appropriate to ride a bicycle with. This one is tight enough to stay in place. Love this knit, don't wear it enough though. Probably because it's quite warm. I'm totally in love with the sort of Scandinavian print/figures on it, would love to have a pair of tights or leggings with such a print. If you know were to find one, please tell me! leuke foto's! ik vind je rokje leuk! Love the sweater and coat!! Love that outfit! 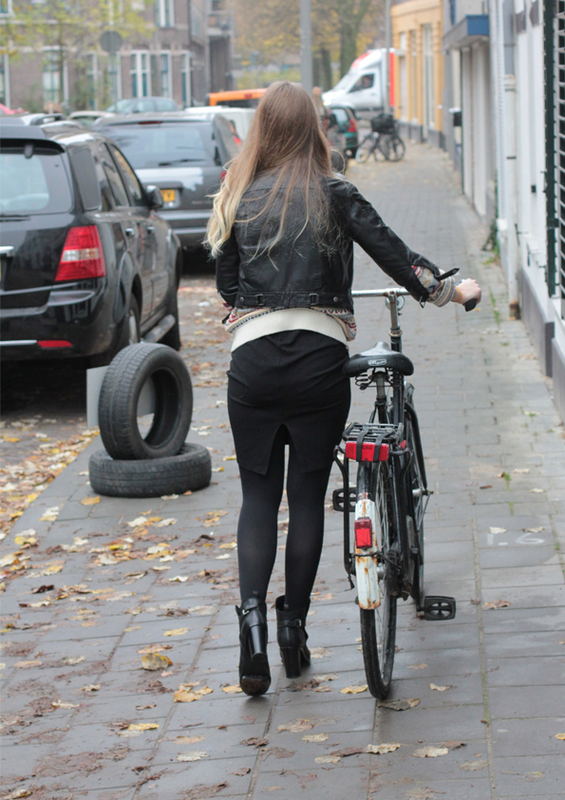 Props to you for finding a skirt you can wear on a bike thats almost impossible! 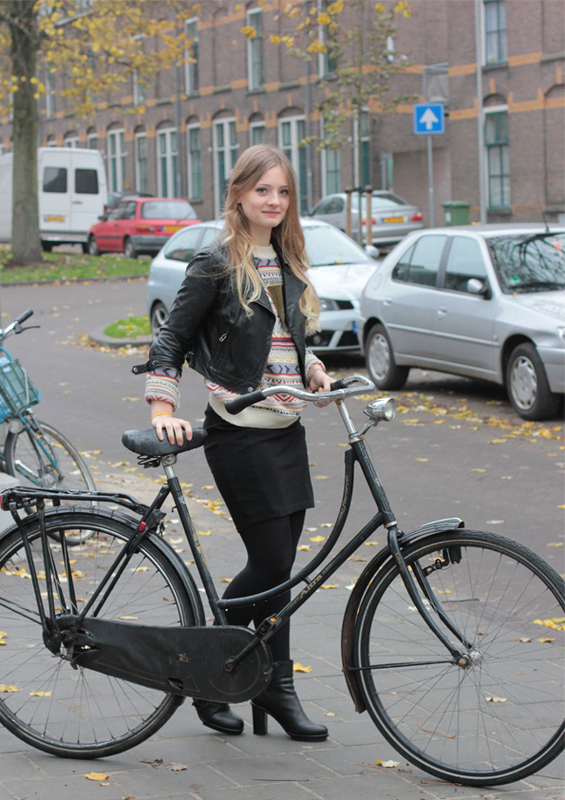 Ooooh, nice job in finding a skirt you can ride a bike in! that's awesome. Love those heels and your jumper is gorgeous! heel erg leuk! Je trui is ook gaaf! Wauw, wat een mooie trui, en je hakken zijn ook prachtig! Super leuke trui heb je aan! Love your look! I find it always such a struggle to ride a bicycle in a skirt =] You're so pretty too, could definitely be a model. Wat een mooie outfit! Ik ben echt helemaal verliefd op je trui!